The iconic smuggling starship Millennium Falcon endured many adventures in the universe of Star Wars. Now it has converted into a soft bean bag for your leisure time. 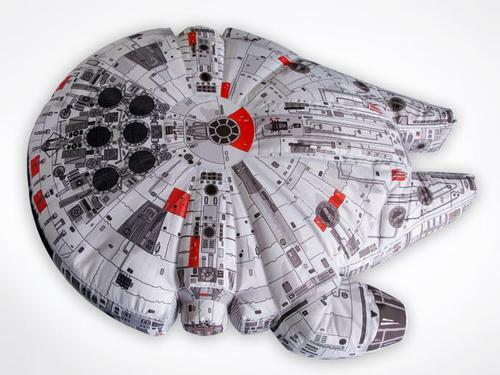 This is a Millennium Falcon styled bean bag that measures 260 x 200 x 50 cm. Woouf, a design studio from France created the huge Star Wars themed bean bag for the Adidas Pro Area at Sónar festival of progressive music and multimedia arts in 2010. As we can see from the images, the bean bag features the outline of Millennium Falcon and a slip cover with accurate details from the iconic starship. And in addition to the bean bag, woouf also designed other Star Wars themed benches, tables, bean bags, umbrella and a canvas inspired by the universe of Star Wars, but unfortunately, there is no one available. For more images head to woouf official blog. Additionally, if you like the fastest starship in Star Wars, also don’t miss the Millennium Falcon LEGO creation. 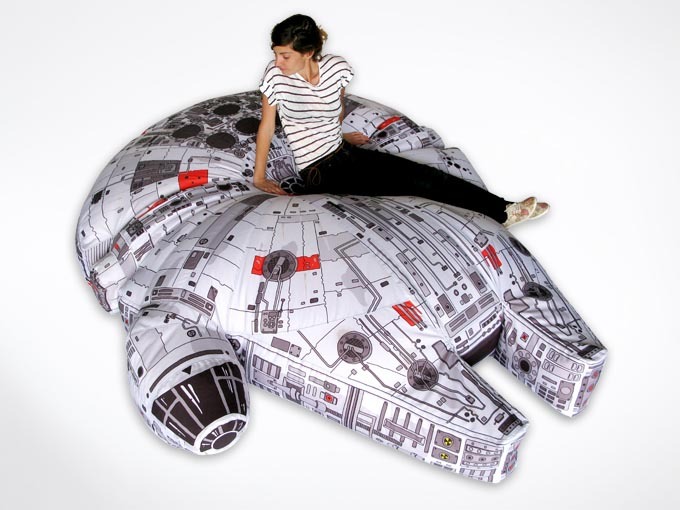 Update: here is an available Star Wars Millennium Falcon bean bag cover. Maybe it’s a nice alternative. You’re shitting me right!!?? I came here with the express intent of buying one and THERE ARENT ANY?? Why the hell show it knowing there are going to be thousands of people that want one or more?? Seriously messed up bull crap man! Yeah, this is a jerk move for sure. Woouf http://goo.gl/mSJeud may give a reasonable answer.